This year, make health your top priority. By getting on your family on the right track now, you will be teaching important life skills that your children will use for years to come. Every month, we will be challenging you to a new healthy habit. Don’t worry, they are simple and can can be incorporated into your daily routine. This month, eat a piece of fruit every day with breakfast. It can be your choice – apple, banana, melon – but eat it before anything else. It contributes to your daily fiber and vitamin intake, and starts regulating your digestive system as soon as your day begins. It is best to eat fruit on an empty stomach, such as first thing in the morning. When fruit is eaten, the digestive process works very quickly and the body uses different enzymes to digest the fruit. 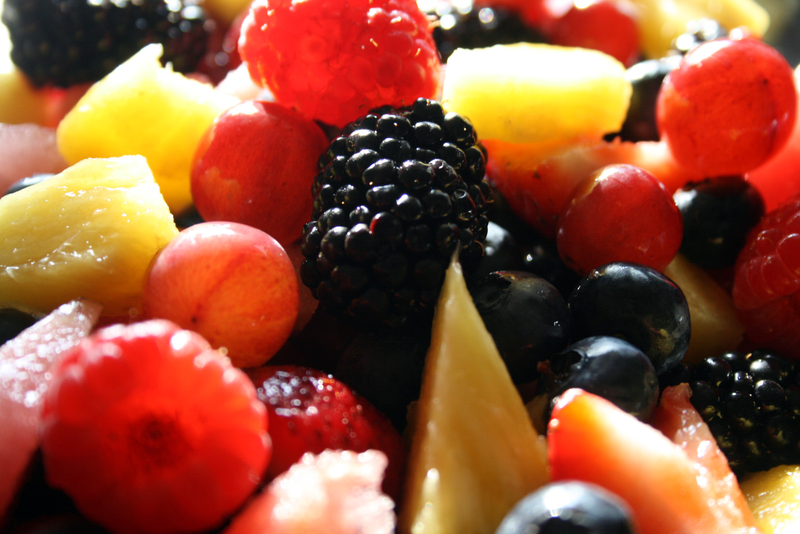 The simple sugars contained in fruit need time to be completely absorbed by your body. When fruits are eaten alone, your stomach can more easily process all of the nutrients, fiber and the simple sugars contained in the fruit. Blueberries:Blueberries are rich in antioxidants, which help fight cancer and prevent macular degeneration. Oranges:A single orange gives you almost a full day’s vitamin C, plus potassium. The opaque membrane around each wedge has hesperidin, which may lower cholesterol. Apples:. In addition to meeting 15 percent of your daily fiber needs, an apple is crammed with antioxidants. Bananas: High in potassium and low in sodium, bananas help lower your risk of high blood pressure and stroke. Kiwis: Kiwis contain more than twice as much vitamin C as oranges, plus they may lower the risk of cataracts.